The programming language ABAP® is at the very heart of SAP SE’s software technology. 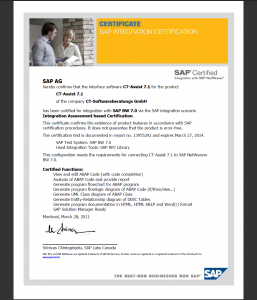 As an add-on to this software technology, CT-Assist supports the IT workflow and the use of ABAP with a set of core functions. 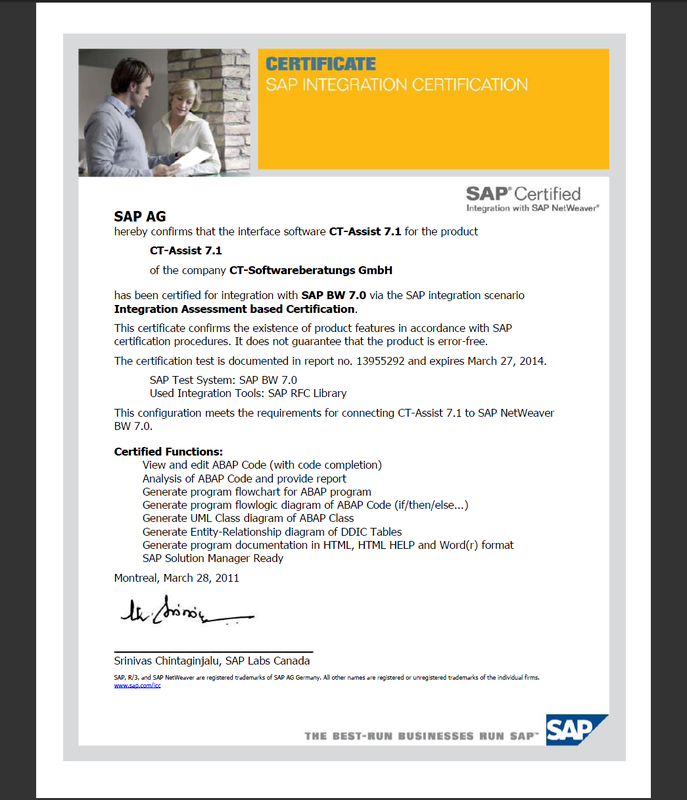 SAP SE certified the software solution ‘CT-Assist’ on 28-Mar-2011.